Everyone can be a leader. At least, wouldn’t we all be better off if everyone worked a little harder to harness their inner leader and live a bit more courageously and confidently? These are the questions I started asking myself as I looked at my own leadership skills and those of my colleagues. The agency I work for operates as a relatively flat organization. Meaning, we don’t adhere to the strict hierarchy standards you often see at other agencies. We have a team of designers, ux-ers, producers and developers, each with different levels of experience and project teams often come together based on timing and interest. At any given time anyone could find themselves needing to lead and drive a project forward. From the seasoned veteran to the new kid on the block. And to be fair, just because you are a seasoned veteran doesn’t mean you are a good leader. Everyone has to work at it. Good leadership skills don’t just happen through on the job experience. It takes reflection and proactive engagement in your growth. For that reason we hired Rachel Garrett, a career and leadership coach, to come to our office and take our entire team through a workshop. It was titled “Your Personal Brand: You + Who You Want To Be.” The main points include: finding your voice, ditching perfectionism and comparisons, and defining your life vision. Your Inner Critic. That Jerk. The first exercise Rachel had us do was identify our inner critic. You know, that person in your head who says “you’re not smart enough,” “your ideas are bad,” and on and on. Everyone in the room was asked to write down one or two of their inner critiques on a piece of paper then we all walked around the room looking at each others. What a great ice-breaker! We’ve all heard the mantra “you are not alone,” but how eye-opening to see and hear that your colleagues have the same self doubts and fears as you. People you respect and think have it all together still have self-doubt, it’s human. I found myself saying “Really?! YOU feel that way about yourself?! But you’re AWESOME!” And some people were even saying that back to me. Rachel described some tactics for silencing that inner critic like giving it a name and addressing it directly when it starts to chime in. Or creating a mantra around it and addressing it with curiosity instead of judgement, like, “I wonder why my critic would say that?” One tactic that has worked for me is reflecting upon past inner critics that I’ve managed to combat. I think back at how much that inner critic held me back for so long and what a shame that was. So I remind myself of that when it starts to get in the way of my new endeavors. Not today inner critic! 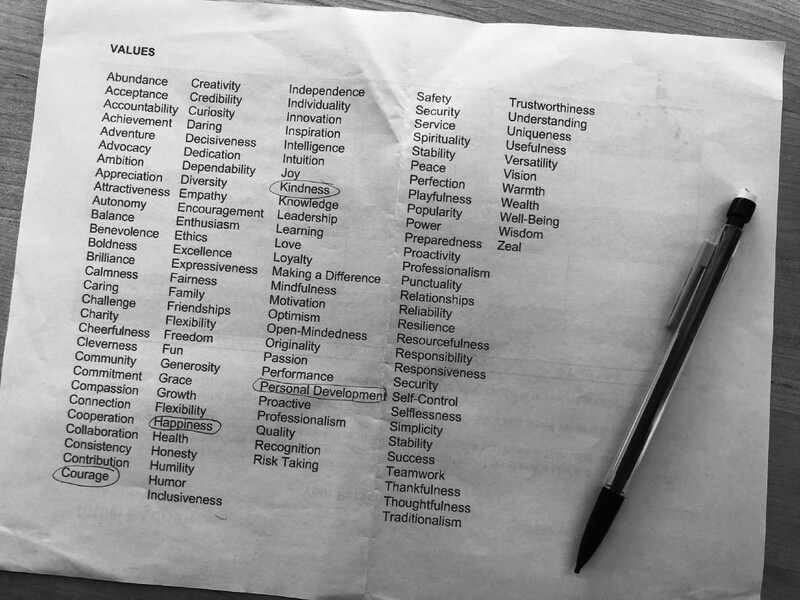 One of my favorite parts of the workshop was going through a list of values and identifying the 3–5 that are your highest priorities and beliefs. I was actually surprised at how quickly I identified mine: Courage, Kindness, Personal Development and Happiness. Everything on the list was meaningful but I knew which beliefs stood out. What further surprised me was how little I actually think about my values, especially given how quickly I identified them. When we make decisions about where to work, what to buy, who to make our friends and partners — everything — should be weighed against those values. Do your friends align? Does your company? When you feel that dissonance in life, that uncomfortable feeling that this just isn’t working or doesn’t make me feel like…me…it might be that you need to revisit your values and check-in. I found this to be the biggest takeaway. My values should be something I’m thinking about everyday. This is who I am and how I want the world to see me. 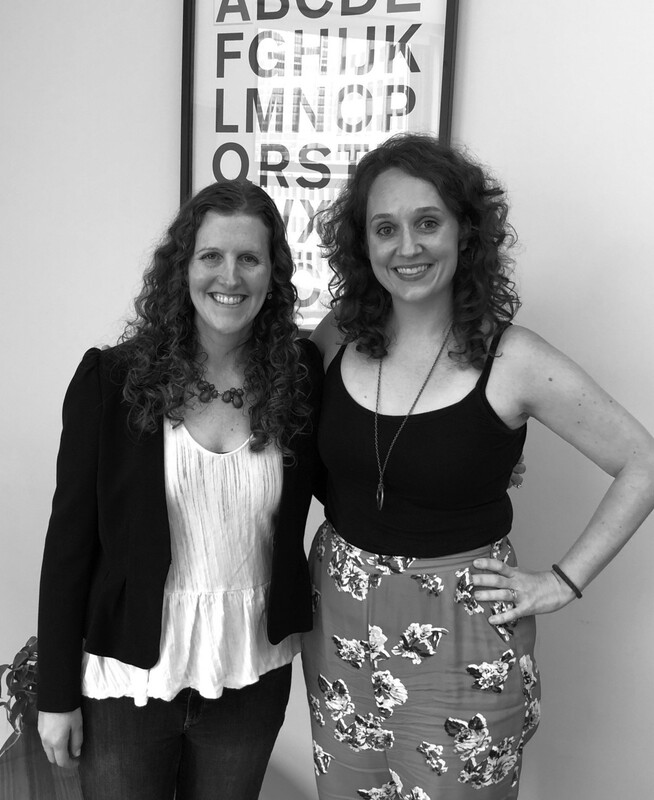 Rachel also talked about our superpowers — those things that people naturally come to you for — it’s those strengths you talk about at job interviews. What I really liked was how she framed them in two buckets. 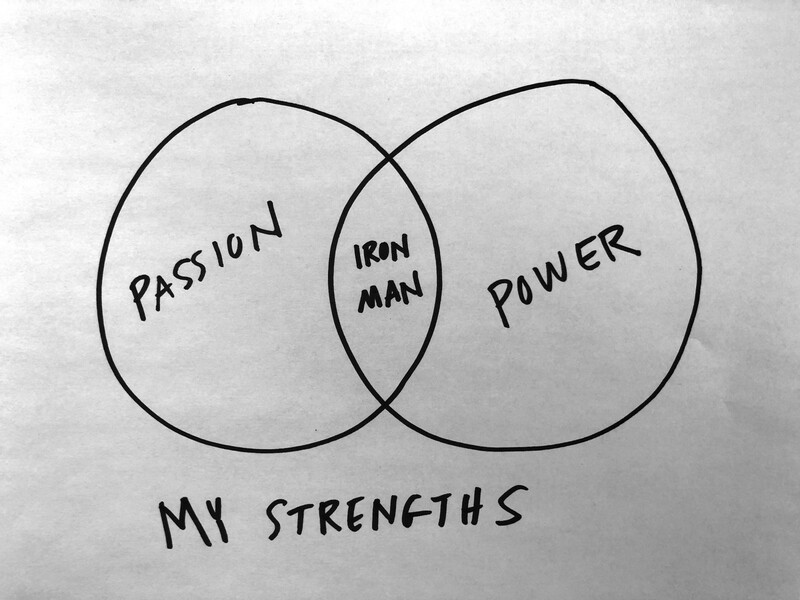 The passion strengths: things that bring you into flow, excite you; and the power strengths: the functional things that come natural. It’s where those two strengths overlap that real magic starts to happen and you begin to harness your true superpowers at their most heightened. Like when Tony Stark develops the Mark VII Iron Man suit — fully loaded. If I went to a party and someone asked me what I do I would say “I’m a Visual Designer, I make websites.” Then the conversation is usually over and we try to find some other common ground. But what if I started with my why? What if instead I said “I love helping people find that perfect and meaningful visual expression that improves their business or lives.” That’s a little more interesting and says a lot more about who you are. Own it. I thought we were talking about leadership? We are. To become a leader you have to first find out what kind of leader you are and that starts with finding out who you are. What is the inner critic saying to hold you back and how can you knock it down? What do you believe? What makes you tick? Who are you and WHY? These things all make up your personal brand. First off, actually spend some time on this stuff. Write it out, think about it. Then use it. Next time you are in a meeting and your inner critic is telling you not to speak up give it a dropkick and get your voice out there. Think about your company and their values, is that holding you back? When you are at a party or a networking event start with your why and see how much further that takes the conversation. The world needs more leaders and the world needs your confidence and voice. At least your company probably does. These may feel like small steps but that is where everything starts. Your inner leader is waiting. 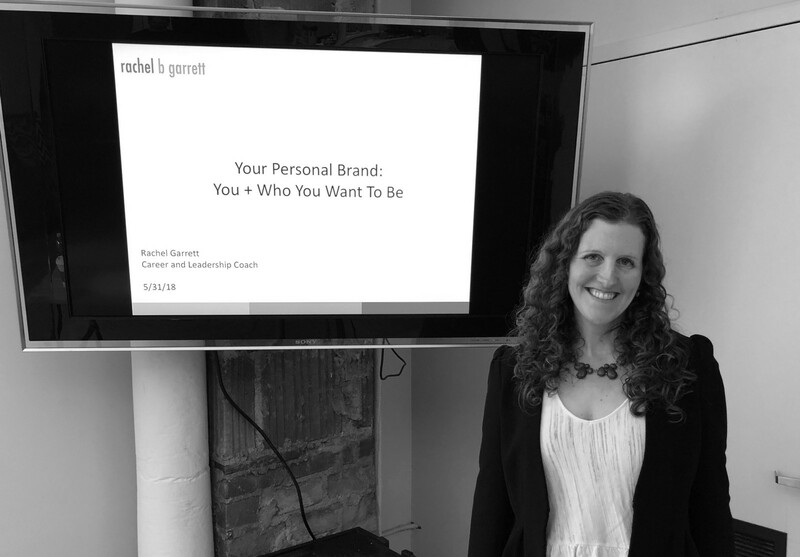 For more information on Rachel Garrett and her workshops and coaching please visit her website. She’s amazing! !